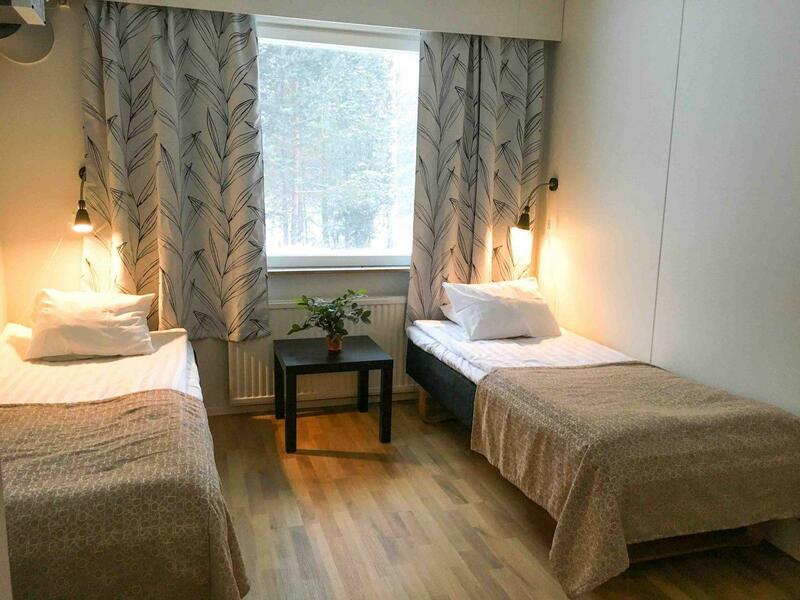 We have many accommodation possibilities for example hotels Kaartila and Pyöreä torni, hostels Posse and Pamaus, Reonhäntä and Rivitalo. You can choose your accommodation according to your needs and budget. If you are looking for more classify accommodation you may choose our Villa Vuorela. Check-in starts daily at 2 pm. Check-out time is at 12. You can ask late check-out at the reception. Pet fee 10 €/night. Pets only allowed in hostel Revonhäntä. A personal hotel which has built in 1967 and renovated in 2009. Hotel Pyöreä Torni has two floors and each floor has living rooms. There is also a laundry room on the bottom floor. There are 29 standard rooms which 10 of them are family rooms. All rooms are allergic rooms (no pets allowed). There is no kitchen at the room but both living rooms has a kitchen with fridge, oven, stove, microwave, electric kettle, coffee maker and set of diches. 200 €/night/room (includes VAT 10 %). 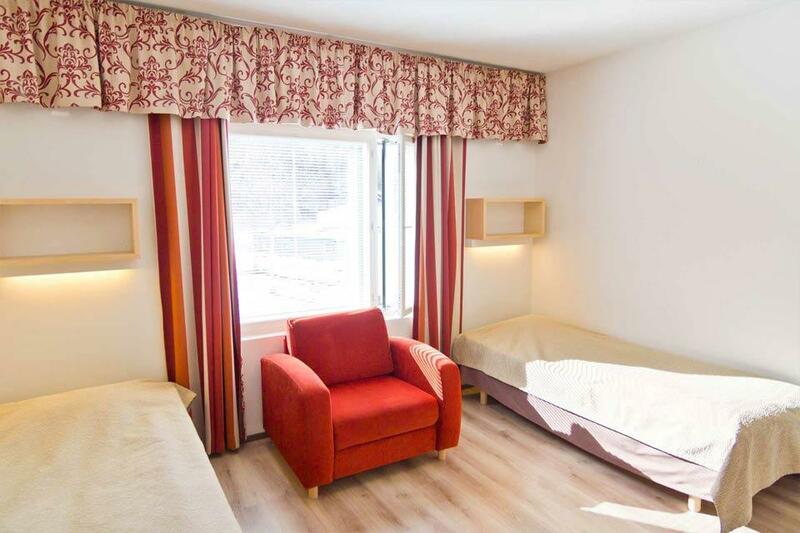 Living room, bedroom, extra bed, small kitchen and sauna ( 4 persons). 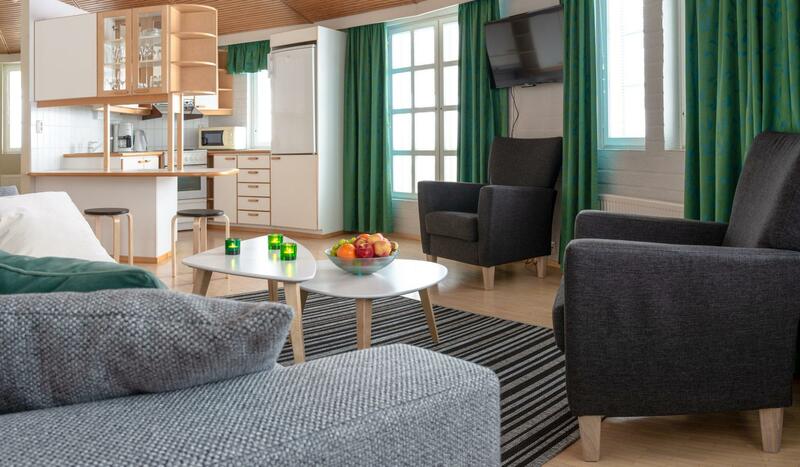 Recently built hotel Kaartila provides conference rooms and sauna area. Rooms are spacious, bright and suitable for longer stays. Some rooms have also lake view. You can combine two rooms into a one large family room. Low-budget accommodation only 50 meters from the swimming beach! Posse and Pamaus are two different buildings which locates nearby each other. Both buildings have living rooms with tv, video and small kitchen with fridge, oven, stove, microwave, electric kettle, coffee maker and set of diches. There is also a washing machine and dryer in the hostel. Room’s facilities are: toilet, shower and tv. 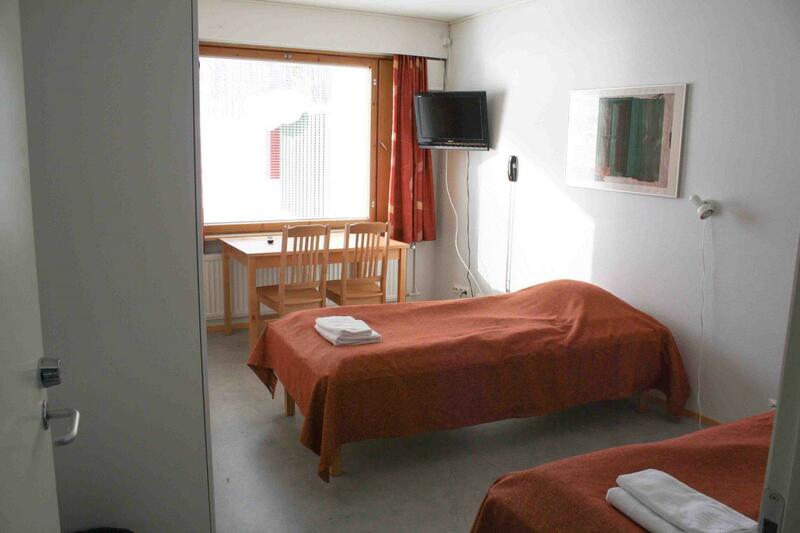 Hostel Rivitalo provides quite but low budget option to accommodate. Rivitalo locates nearby tennis and beach volley courts and just by a walking distance from first snow track. Rivitalo is a little apart from the other buildings and there is own entrance without stairs. Rooms are standard rooms for 2-4 person. Possibility for extra beds. No pets allowed. 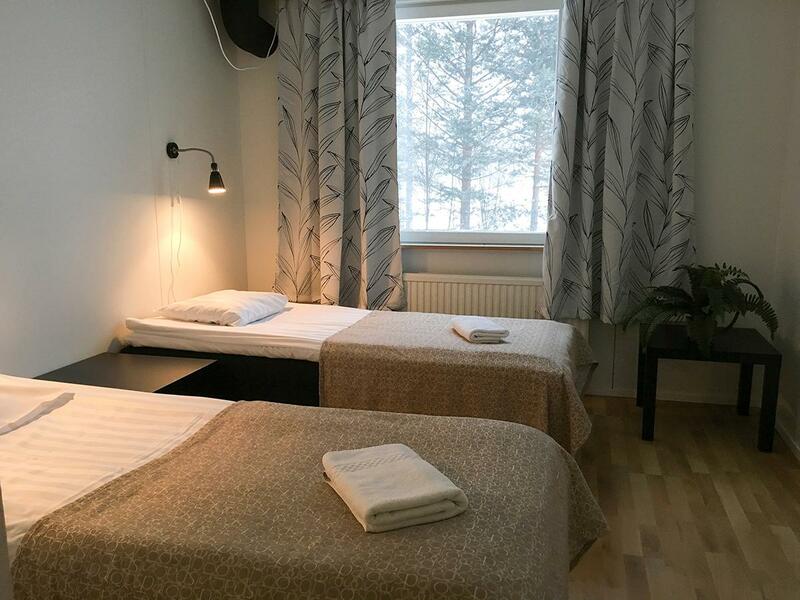 Hostel Revonhäntä is suitable for customers who are searching for low-budget accommodation. Rooms are standard rooms for 2-4 person. Some rooms have extra beds. Pets allowed. Price 10 €/pet/night. Hostel Revonhäntä is not suitable for disable persons because of the staircase. Villa Vuorela a holiday apartment for 8 person. 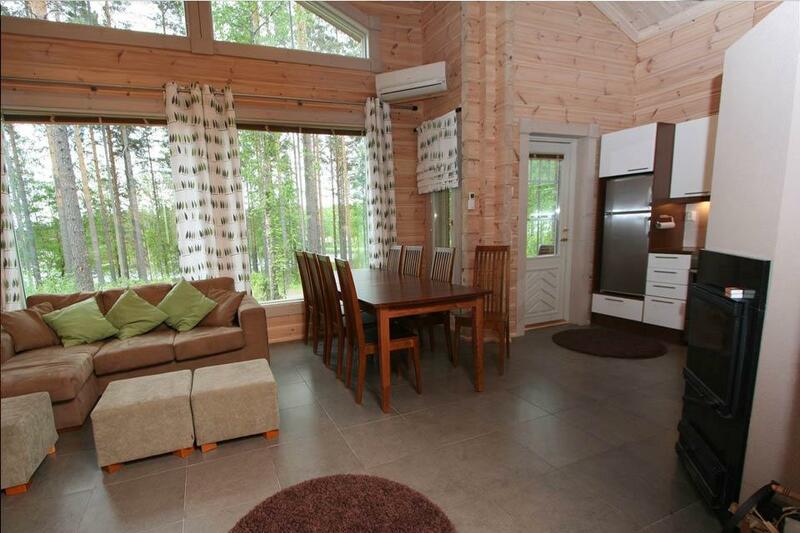 There is living room, kitchen, 2 bed rooms, 2 toilets, sauna area and a loft with 4 beds. Villa locates only in five minutes walking distance from Tanhuvaara Sport Institutes centre. Villa Vuorela’s customers can use spa and gym for free.